This year, the California Air Resources Board will decide if transit agencies statewide will be required to invest in emission-free transportation options, including electric buses. The proposed Innovative Clean Transit (ICT) program will require your transit agency, and others around the state, to purchase 100% zero-emission vehicles by 2040. Already, cities across California and the United States have set goals to procure 100% zero-emission buses, because the electric bus solutions on the market today are simply better: more economical over the lifetime of the vehicle, higher performing and environmentally sustainable. CARB estimates that California would save $580 million if the state to transitioned to all battery-electric buses by 2040. METRO Los Angeles, the Los Angeles Department of Transportation (LADOT) and Foothill Transit will go all-electric by 2030. Between the three agencies serving the greater LA metropolitan area, nearly 3,200 electric buses will enter service as a result of these transit agency commitments. Santa Clara Valley Transportation Authority (VTA) and San Jose International Airport have begun the transition to all electric fleets. 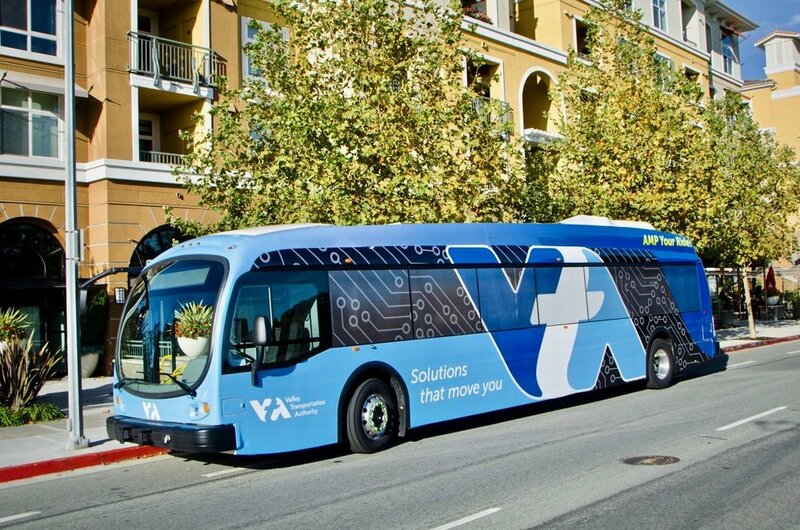 VTA currently serves nearly two million residents with an average weekday ridership of 142,100, and provides critical linkages between Silicon Valley, its surrounding cities, and San Francisco. 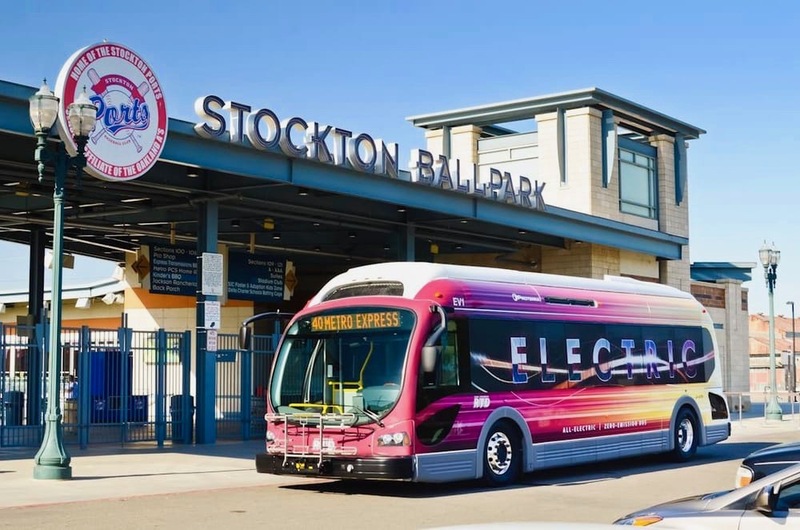 San Joaquin Regional Transit District (RTD) has committed to converting its fleet to all-electric, zero-emission buses in the City of Stockton by 2025. RTD's Bus Rapid Transit (BRT) Express Route 44 was the first U.S. 100% battery-electric route to go into service. According to the American Lung Association, more than half of the U.S. population lives in communities where air quality earned an F in 2016. Particle pollution is a serious public health threat, with potentially massive societal effects, including increased risk of lung cancer, heart attacks, strokes and emergency room visits for people with asthma, cardiovascular disease and diabetes, as well as increased incidences of early death. Lower income communities and people of color are disproportionately affected by air pollution, which jeopardizes their right to breathe freely and puts them at a higher risk for illnesses. According to American Public Transportation Association, every $1 invested in public transportation generates approximately $4 in economic returns, and every $1 billion invested in public transportation supports and creates more than 50,000 jobs. Pollution from heavy-duty vehicles, such as transit buses, is one of the largest sources of toxic air pollution in California. Studies from CARB and public health experts have linked this pollution, which includes nitrogen oxides and particulate matter, to adverse effects on almost every organ system in the body. As cities nationwide commit to 100% renewable portfolio standards for their energy mixes, California has the unique opportunity to be the first state to mandate 100% zero-emission transit for all. Let's make history. Sign up for the CalZEV newsletter to stay up to date on the Innovative Clean Transit measure and other important zero-emission vehicle news.